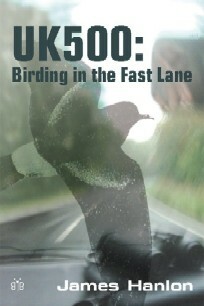 This is a lively, entertaining and informative account of the author’s quest over 17 years, and before his 30th birthday, to record 500+ species of the birds found in Britain and Ireland. Complemented by his own photographs and splendid paintings and drawings, he recounts car crashes, stormy sea crossings, plane convoys and even a coastguard rescue during his travels in pursuit of avian rarities. If you thought the simple pleasure of birdwatching - now one of the fastest-growing recreational activities in the world - couldn't be described as 'extreme', you should read this book. Format and Pages: Paperback, 136pp. ... Teaming up with my friend Adrian Webb in a hired Ford Fiesta, I soon embarked on a weekend on Shetland which I will not forget in a hurry. ... The Bee-eater was at a place called Asta House and luckily this time it proved much easier to see - in fact we saw it before the car had even ground to a halt - and 'crippling' views were enjoyed at a range of about 15 metres. Wow - what a stunner! A little larger than a Blackbird and bright emerald-green all over, relieved only by blue sides to the face, a black mask and russet throat. We even heard it call and enjoyed some brief flight views. ... It was a dispiriting sight to behold. An army of five-legged soldiers (every birder carries a 'scope on a tripod) formed a battle-line from which they glared at the 'enemy' - a clump of gorse bushes. These bushes may have attracted the bird in the first place but now they stood between us and the star of the show. And the star had a serious case of stage fright. Perhaps there would be no show today. It started to rain. Richard Millington once described the atmosphere at a crowd on the Isles of Scilly who were waiting for a no-show Hermit Thrush as 'resembling Wimbledon's Centre Court after someone had stolen the ball'. Well, this was the same. Only here rain had stopped play. Between this and the wind, there was little chance that our quarry would show itself.